Poker leagues have been popular since the poker boom of 2004-2005. Players compete in events and the league tracks their results, awards points and prizes and competitions. The most common type of poker league available today is most likely your local free poker league, similar to the Atlanta Poker Club, or if you are connected to the local poker network there are often private leagues where each player has a portion of the buy-in (or league fee) go towards prizes that each member is competing for. These type of poker leagues most probably exist in the closest town or city to you. Free poker leagues work by putting on a poker tournament as a form of entertainment for players by letting them play in the tournament for free. IE there is no gambling and generally speaking if there is no requirement for entry then you are not breaking any laws. The organizer of the free poker league makes their money by charging the host venue (usually a sports bar or pub) a fee similar to what a trivia company or local band would charge. The host venue makes their money by the selling the people who are coming to play in the free poker tournament food and drinks. The poker league organizers usually reserve a portion of the money they earn from the host venues to put towards prizes for league members and new member recruitment. If you are interested in organizing your own poker league, here are some recommended tools. Free Poker Leaderboard – create, manage and display a leaderboard for your league. Poker Dealing School Online – A poker dealing class taught by a dealer who dealt at the Bellagio in Las Vegas. Although we used to run the KickAssPoker.com online league a few years ago, we have not directly participated in online poker leagues for the past couple of years. There are a handful of active online poker leagues going today, however with the current situation in the US online poker market up in the air the choices are fairly slim at the moment. We recommend checking google for online poker leagues as the climate is ripe for change right now. Usually you can find an active poker league if you can find an poker forum with a lot of players, like 2+2 or p5’s. 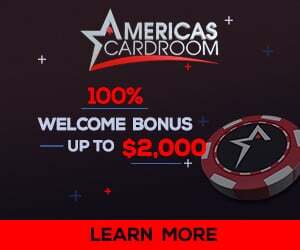 If you sign up to the KickAssPoker.com newsletter we will let you know if we re-launch our online poker league at some point down the road. The most common real money poker league you will find out there is a league that requires all players to buy in with a portion of the buy-in amount going to a prize pool that the players are competing for during the course of a season. Usually players who are wanting to go play in a major event like the World Series of Poker will all agree to play in a poker league with the winner at the end of the season winning the seat. This is how 2nd place finisher Steve Dannenman got into the WSOP the year he finished second. A poker league is a community of poker fans who enjoy playing the game, and prefer to play it within a relatively small group. While tournaments at PokerStars and Full Tilt draw thousands of people from all over the world, a private league may be limited to dozens. The atmosphere is friendlier since many of the players will know each other from past events. It also has a tighter, more cohesive feel since the group is small and easier to manage. There are several reasons to play in small, online poker leagues as opposed to jumping into the large events at the major poker sites. You’ll also find that starting your own league is easier than you might think. We’ll explain how, and describe a few key tools that make launching and running a private poker league simple. When you play in a small, private league, you’ll see the same faces (or names, if you play online) over and over. You’ll learn how league members play. Whether they’re tight-aggressive, loose-passive, or chronic bluffers who always try to steal blinds, you’ll have a chance to study different styles in action. More importantly, you’ll have a chance to test various approaches against them. This is part of becoming a more skilled poker player. Depending on the league, you can play for play money or real money, similar to the top online poker rooms. The events typically offer cash prizes at the end of the night as well as full bragging rights for the winners. Running your own online poker league is simple as long as you familiarize yourself with the process, and have access to the right tools. (We’ll discuss tools below.) If you want to start a poker league offline, you’ll need a venue, dealer, and capable director for the tournaments. The venue can be a local casino, bar, restaurant, or any facility that is able and willing to host the event. Your dealers and directors will be a vital part of each tournament’s success, and by extension, the success of your league. Training is important. If you start with a very small group of players, you can handle these responsibilities yourself. Launching and running an online poker league is even easier than doing so offline. You won’t need to secure a physical venue; instead, create a room (or several of them) at one of the major poker sites. Dealing is handled automatically, leaving you to participate in the events, or address minor administrative issues, such as prize money and seating. So, why might you want to start an online poker league? Because it’s a great opportunity to make money doing something you enjoy. Offline tournaments can generate cash through deals made with the facilities’ owners. Online events can be profitable based on promoting the poker sites hosting the tourneys. There are a lot of different models that can be applied in order to make money hosting poker leagues online or off. First, avoid jumping in without knowing what you’re doing. Even though starting and running a successful online poker league is simple, there are several details you’ll need to address. Second, figure out in advance whether you want to keep your league private, or open it up to new players. You can switch directions whenever you want, but it’s helpful to determine this prior to launch. Third, prioritize communication with your league’s members. Keep them informed regarding dates and times of the tournaments, and the poker sites (or offline locations) at which they will be held. There are many other facets involved with running an online poker league. The most important aspect is to automate as much as possible. It’s also important to have the right poker league tools at your disposal. You need poker league software that can handle most of the record-keeping and administrative tasks involved with running a league. There are a few options available, and you’ll find there’s a lot of overlap between them in terms of functionality. You should be able to track each player’s standings and results. You should also be able to generate interactive leaderboards that any member can view at their leisure. Ideally, the poker league software will run on your own website, so you can access the back-end from any location with an online connection. If you plan to run your poker league offline rather than online, learn how to deal. It’s not as simple as it looks. There’s a reason for the caste system among poker dealers in Vegas. Some casinos are known to have better dealers than others. Learn to do it properly. Also, learn how to host poker tournaments. The job involves much more than simply keeping an eye on the tables. You’ll need to address pre-event prep, registration, and rules and structure. There are a lot of people who take a haphazard approach to directing tournaments, and as a result, cause players to disengage. Keep the events organized, and keep them moving. Players are more likely to return in the future, which means your poker league will be more successful. Online poker leagues offer a great opportunity to participate in small tournaments with familiar faces. Or, run your own league. It’s simple, fun, and with the right approach, can be very profitable.